The Z Factor, Life's Driving Lessons, Life's Driving Lessons, is the story of a young man who lives an ordinary life, in an ordinary setting, with ordinary dreams and aspirations. It approaches the timeless message of Zarathushtra as seeds, and plants them in the mind of the young man. The story then follows a short period in the life of this young man as he goes through various stages of nurturing and growth, until the seeds reach full fruition. 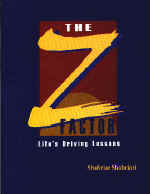 The Z Factor guides the reader to relate to Zarathushtra's philosophical teachings by weaving each teaching into a driving lesson. The Z Factor, Life's Driving Lessons, Life's Driving Lessons will appeal to people of all ages in all walks of life. Unique and different. 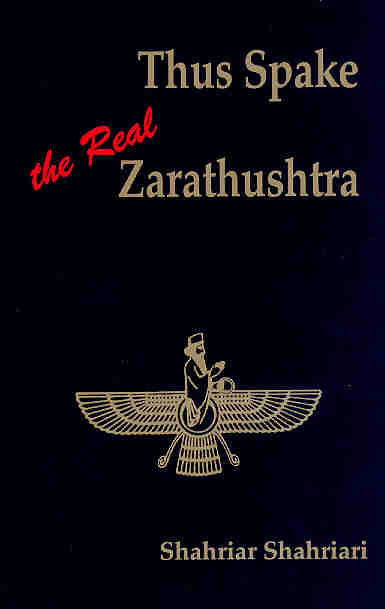 In an original and creative style, the author meets the ancient eastern Master and Prophet, Zarathushtra, who appears out of nowhere. During the following few days, the two meet time and again, share various adventures and take part in a few extraordinary experiences, while discussing the various teachings of Zarathushtra. In their conversations, they discuss God, humankind, good and evil, our purpose in life, and the existence and relevance of spiritual dimensions. They even talk about such abstract notions as heaven and hell, and continuity of the soul after death. The author has a gift for explaining very complex spiritual teachings in simple terms. The reader will actually understand the universal concepts rather than be more confused by them, and that is very rare and refreshing to see. This book is a joy for the believer and a must for the skeptic. This page was last updated on Monday, February 16, 2004.